Puckhandlers Roller Sports Stadium is home to inline hockey. It is the first dedicated Inline hockey rink in Australia and one of only two now in the country. New players join up every day at the rink. We presently have nearly 100 teams that train for games at the rink each week. Join one today!! Inline hockey is the world's fastest growing sport. It is best described as "Non contact ice hockey on rollerblades". Since the American Blockbuster "Mighty Ducks" the sport of hockey has experienced an unprecedented growth pattern worldwide. It's fast exciting alternative and inexpensive in the Sullivan Skate shop. Kids who don't show a lot of interest in traditional sports like football and cricket often take try hockey and get hooked straight away. it's known in hockey circles as "The Hockey Bug". 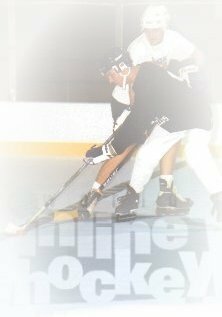 Nike recently predicted inline hockey to be the world's largest sport by the year 2006, presently the biggest is soccer. Under 10's, Under 12's, Under 14's, Under 16's, Under 20's, Senior C, Senior B, Senior A, Masters (35 years and older) and Pro Hockey League. There are presently 10,000 inline hockey players in Australia and the number is growing rapidly. Please telephone for all information and prices, see our Contact Us page. Saturday 9 - 10am & Tuesday 5.30 - 6.30pm every week!